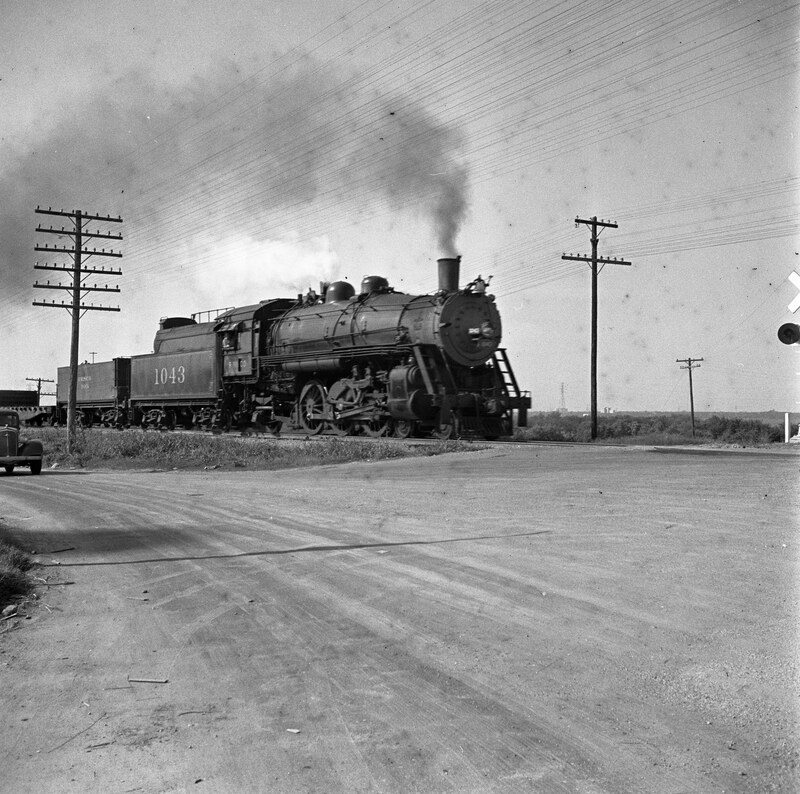 4-6-2 1040 (date and location unknown) (Louis A. Marre). 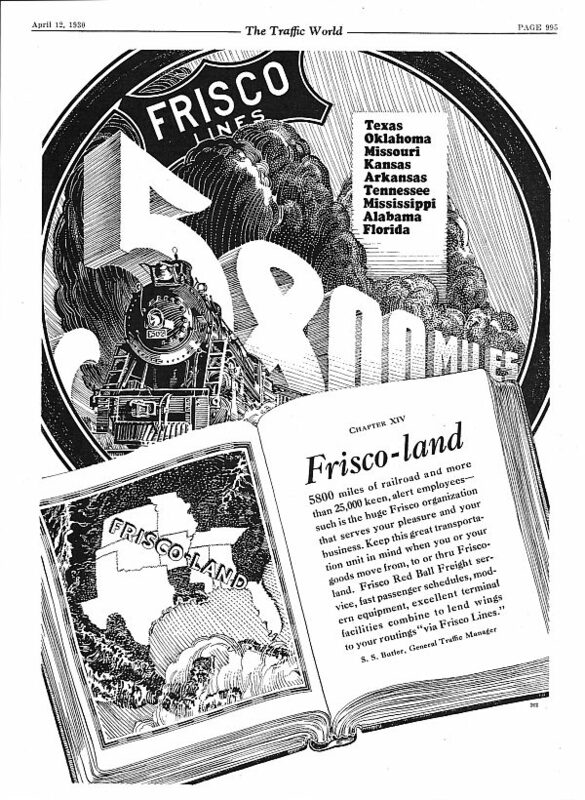 The Traffic World – April 12, 1930 (PDF). 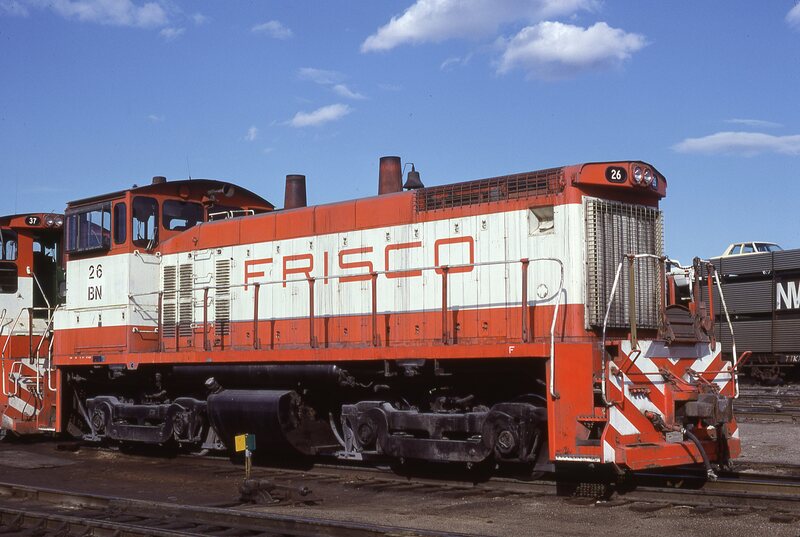 GP38-2 2332 (Frisco 477) at Omaha, Nebraska on June 22, 1982 (Jerry Bosanek). FP7 40 at Monett, Missouri in August 1968. 4-6-0 715 awaiting scrapping at Springfield, Missouri on June 10, 1951 (Arthur B. Johnson). 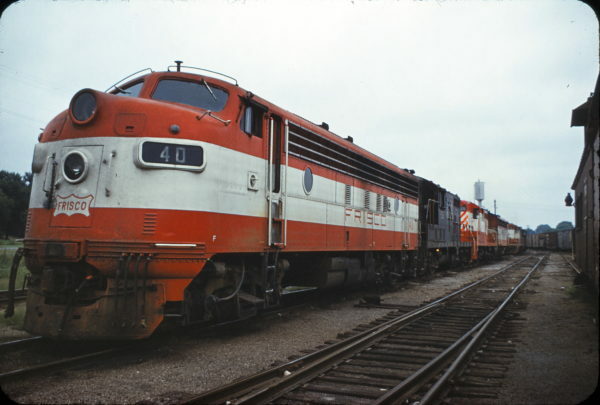 FP7 5041 at Oklahoma City Union Station (date unknown). OKC Union Station. Train is east bound on the main line going by Union Station. 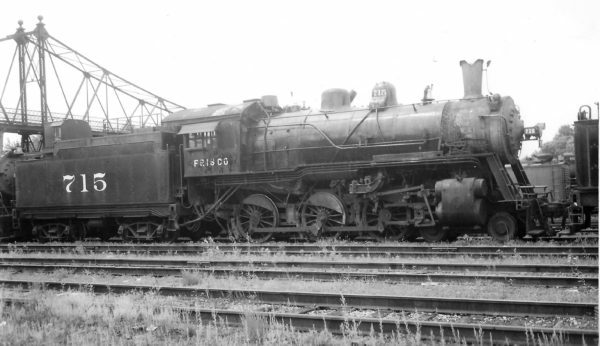 The switch in the for-ground went to M&M scrapyard. ATSF underpass is straight ahead. Thanks to Jerome Lutzenberger for location information. 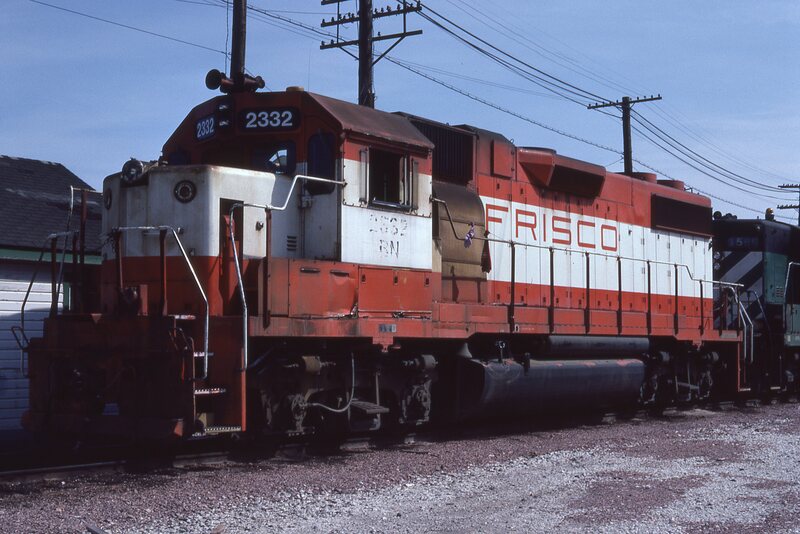 SW1500 26 (Frisco 321) at St. 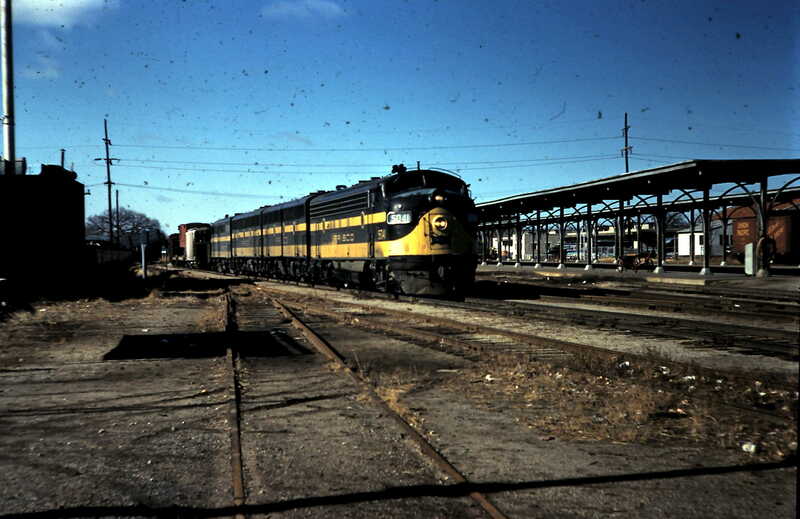 Louis., Missouri in April 1981 (Bill Folsom). 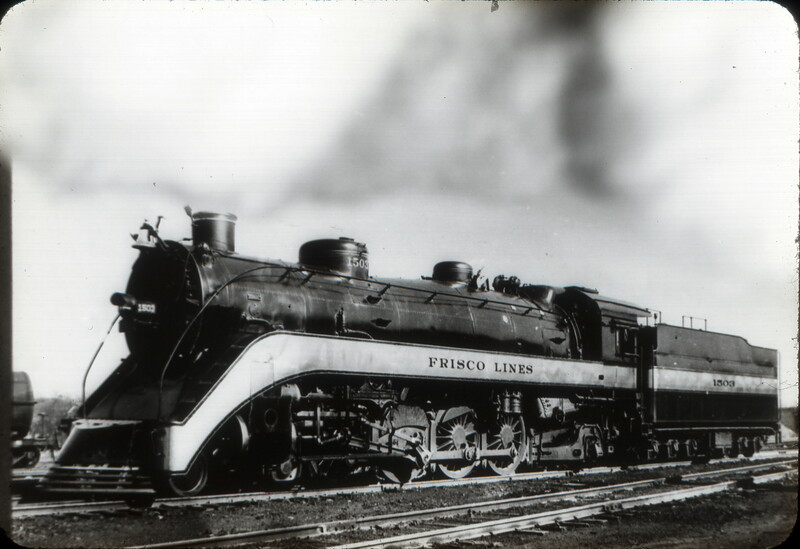 4-8-2 1503 (date and location unknown). 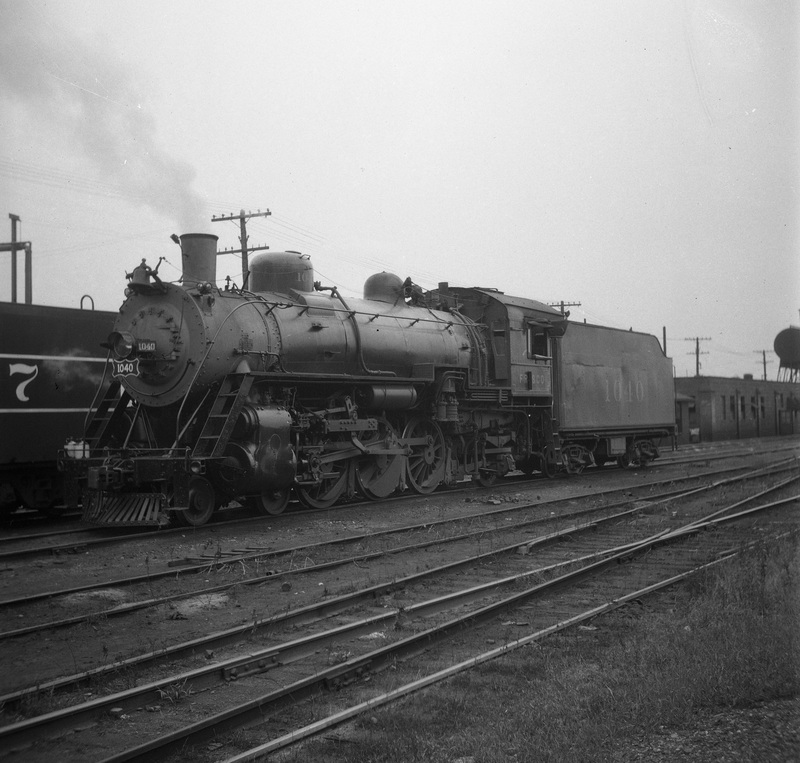 4-6-2 1043 (date and location unknown) (Louis A. Marre). 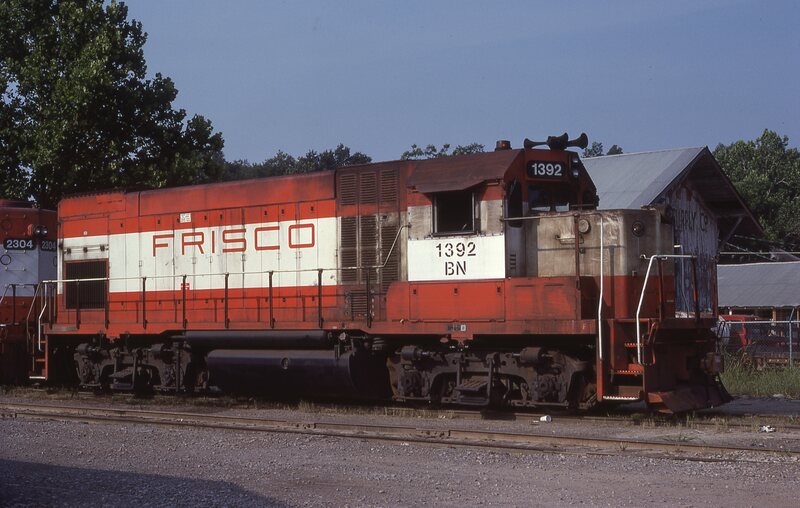 GP15-1 1392 (Frisco 117) at Hope, Arkansas on September 13, 1981 (J.B. Holder).